Beginning Monday, April 15th, all appointments will be held in our new office located at 9961 Crosspoint Boulevard. We are excited for you to see our newly built and well designed office space! Our new office building was designed and built for delivering professional mental health care. A spacious lobby with attending receptionist, as well as counseling rooms with optimum privacy and comfort are just a few of the features in our new building. You can find our new office conveniently located on the north side of Indianapolis. The location is easily accessed from I-69 and the 96th and 106th Street interchanges. 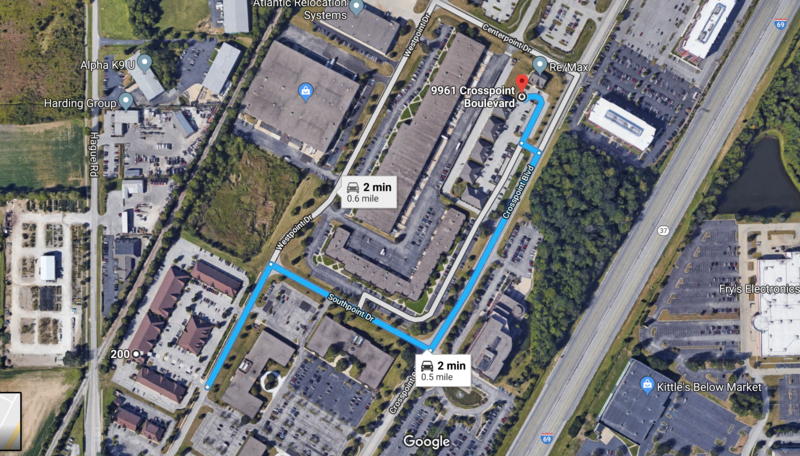 For those clients already familiar with our location at Westpoint Drive, the new location is just a short drive away. To schedule a visit with one of our providers at our new location, contact us today.